Metal shower curtain hooks or rings are easy victims of rust. This is due to the fact that the hooks are constantly exposed to moisture, and moisture inevitably speeds the process of corrosion. If your home's water has a higher iron content, the problem will only be exacerbated, as rust is nothing more than iron oxide or the combination of iron and oxygen. Fortunately, you can prevent the formation of rust and avoid exchanging your metal shower curtain hooks for plastic. Don't allow rust to mar your shower curtain hooks. Remove the shower curtain from the hooks or rings. Once the curtain is removed, disconnect the hooks/rings from the curtain rod. Most hooks simply lift or snap off the curtain rod. Remove any rust already present on the metal hooks. Soak the hooks in undiluted white vinegar or lemon juice overnight. The acidic nature of the liquid will loosen and remove rust. Use 0000-grade steel wool to buff any remaining corrosion off the hooks. Dampen a clean cloth with mineral spirits and thoroughly wipe the shower curtain hooks to remove any dirt, grime or soap scum. Allow the hooks to air-dry completely before proceeding. Apply a paste-type car wax to the shower curtain hooks. Use a clean, lint-free cloth to rub the wax onto the surface of the hooks. Coat both the inside and outside of the hooks with the wax. Do not use cream-type car waxes, as they contain water and offer less protection than a paste wax. 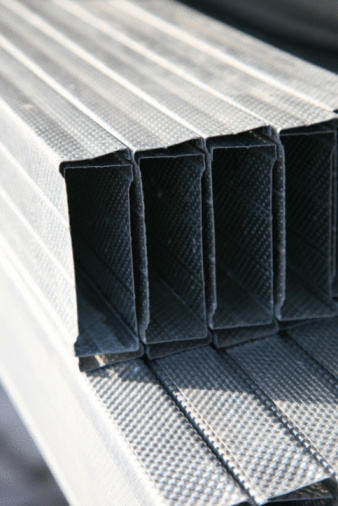 The wax will form a barrier between the metal and the water and air, thus preventing rust from forming. 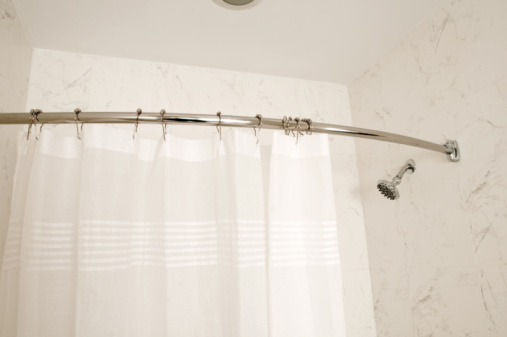 Replace the hooks on the shower curtain rods. Reattach the shower curtain to the hooks. Clean the shower curtain hooks with mineral spirits approximately once a month or as needed. Reapply the paste car wax after each cleaning to prevent future rust. How do I Prevent Rusting of a Shower Curtain Rod?